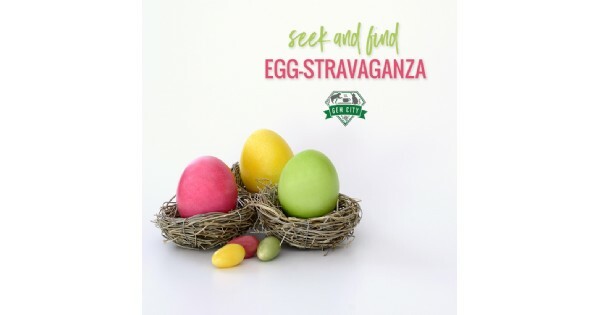 Join us for our Seek and Find Egg-stravangaza all through historic St. Anne’s Hill district on Saturday, April 20th! This event is for ages 12 and up. Our scavenger hunt will lead you through the St. Anne’s neighborhood around the Catfe. There will be 10 hidden locations that your team finds by solving riddles. Your team wins by finding all the clues faster than the other teams! The winning teams will receive a private cat lounge party! After the hunt, we will have Easter cookies ready to be decorated in our upstairs gallery. Add a refreshment with a coffee, wine, or a specialty cocktail! We will have teams starting at 2pm and at 3pm so please sign up your team for the time you would like to start. Each team should be between 2 - 6 members and please have a team name ready! We will have 1 winning team per time slot. Go on the ticket link to get a spot for you and your team! Find more events like "Seek and Find EGG-stravaganza"
Dayton's cat café opened January 2nd, 2018. Gem City Catfé is a comfortable coffee house in Dayton, OH, home to adoptable rescue cats, with a community focus.